Congratulations Kimiko! You were “lucky number 24!” Thank for sharing your favorite guilty pleasure with us. It’s a good one! I bet even Emily Thorn loves a juicy TMZ marathon. You’ll be receiving the Valentine’s Day Cookie Cube Tower from Tate’s Bake Shop in the mail shortly. PS: Don’t forget! 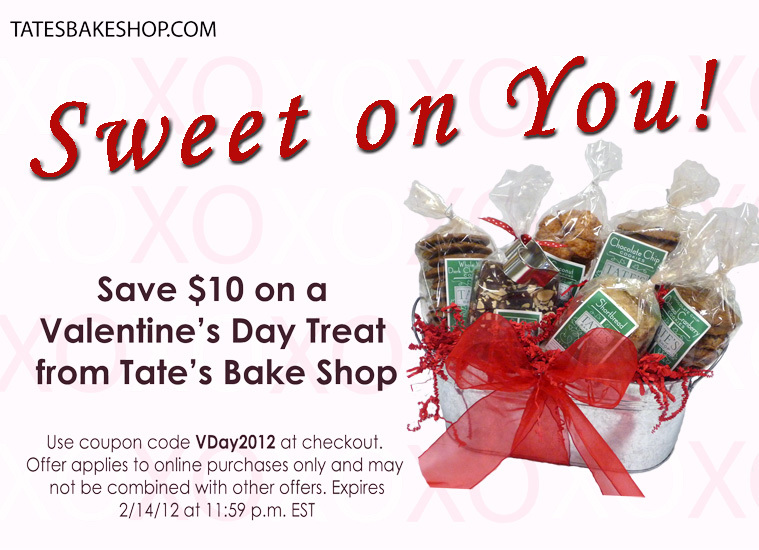 Tate’s is also offering a special online Valentine’s Day discount.